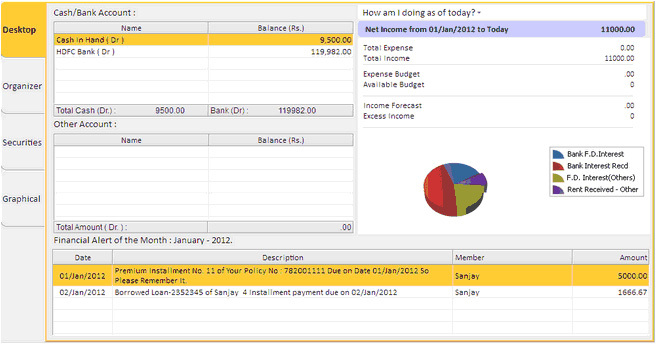 This module gives you an overview of your finances and impressive & Interactive summary reports like “Daily Transaction”,”How am I doing as of today ?”,”How much I have made so far ?”,”Previous month’s summary ?”,”Budget Details” etc., some important reminders on the very front so you can easily see what’s important to you and now you can click on financial alert and open also, things like Bank/Cash Accounts status, Securities stock detail, Scrip Rate & Calendar. Organizer helps you set important dates and reminders, you can easily enter dates, which have important appointments or some important day and set reminders also. 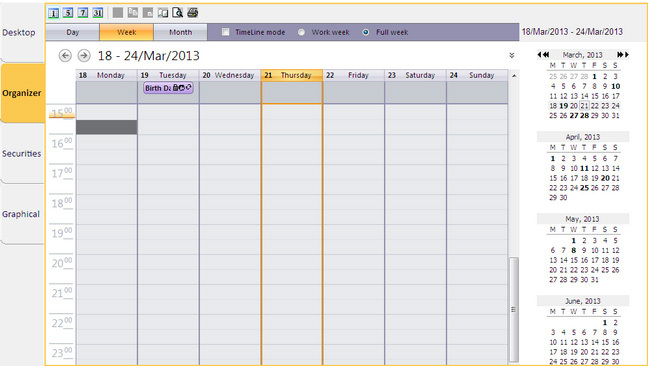 Invest Plus automatically alerts you prior to the important date. 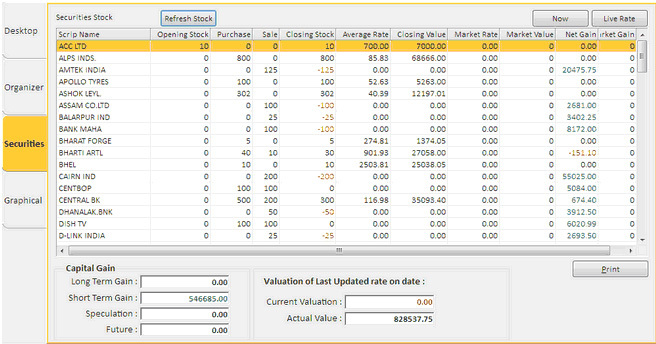 It gives you an overall summary of all of your scrip investments, the number of stocks you have of the same brand at the beginning of the year will be shown in the Opening Stock column while purchase and sale of the particular stock can also be displayed while the total after purchase and sale are shown in the Closing Stock column. Average Rate column displays the Average value of purchase of all the stocks of the particular brand. closing value will show you the current total price of all your stocks. 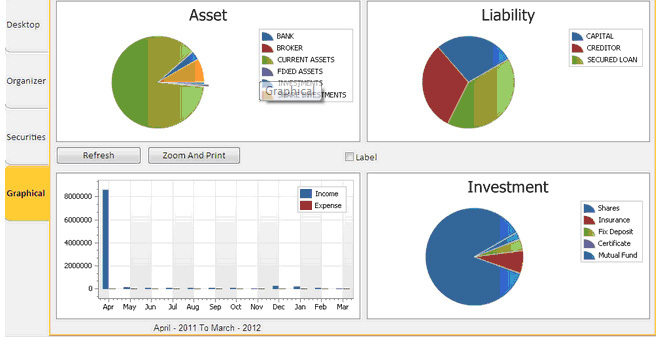 Invest Plus thus helps you to evaluate your securities in an easy manner which you understand. Now : You click on button and get current rate of all scrip. Live Rate : Now this option show Live Rate of scrip.